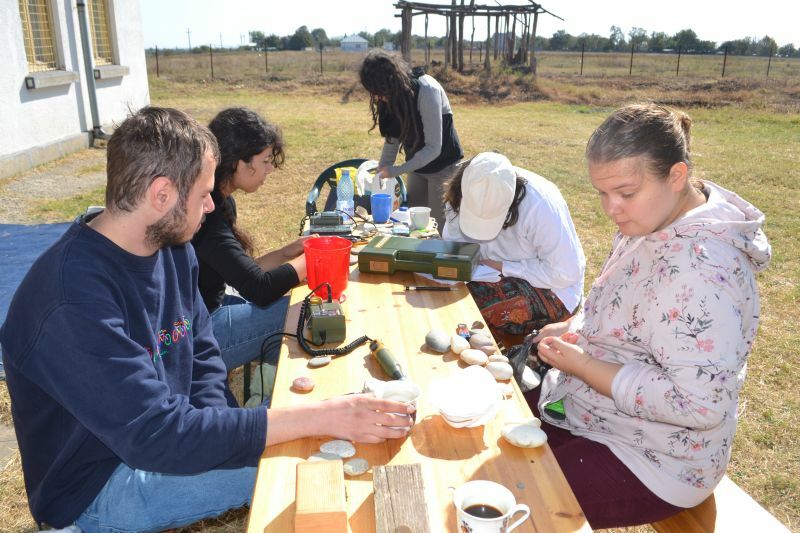 An important focus of the project has been the educational workshops where members of the research team interacted with different social groups. 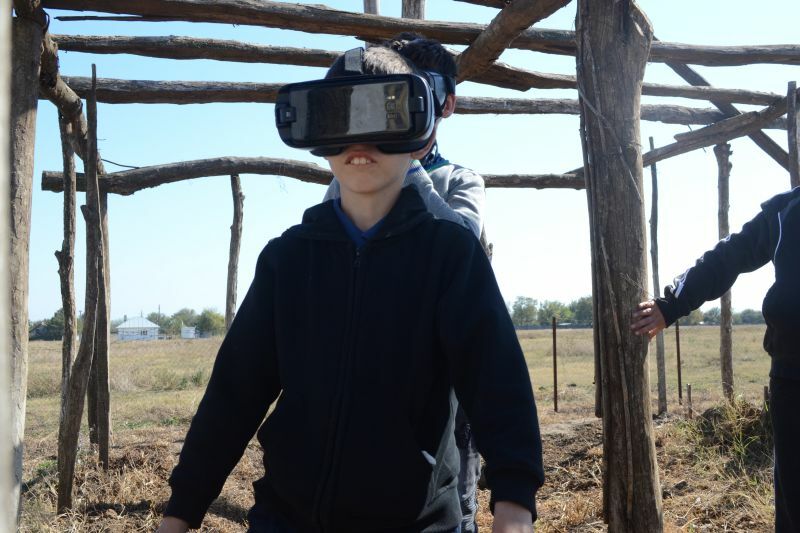 In order to develop a virtual learning community through the research project, it was decided to extend the collaboration with rural and urban schools, and therefore the results of the first stage of the project to be disseminated through social media and on-line conferences. 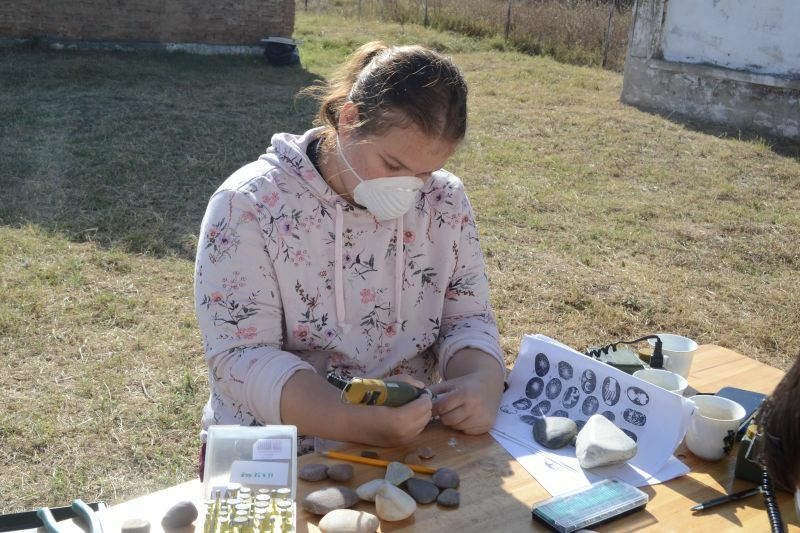 For this purpose, in April 2013, Assistant Professor Alexandra Rusu organized a series of short workshops at the “Dimitrie Leonida” Technical College of Piatra Neamt, “Victor Brauner” High School of Piatra Neamt, “Sergiu Celibidache” Art School of Piatra Neamt, “Danubiana” Technical College of Roman, and The Gymnasium School of Doljesti, where the objectives of the research project were explained and some of the results were offered as didactic material for art and history courses. 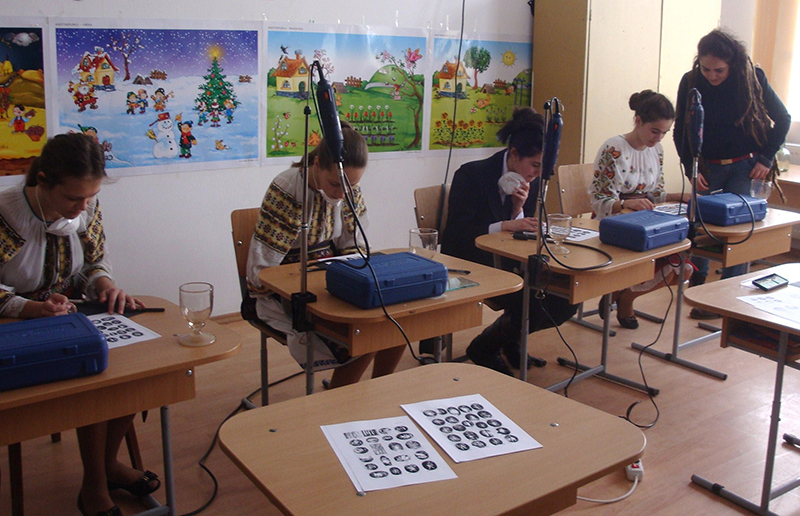 As a result, a timetable for on-line courses for 2014 was established. 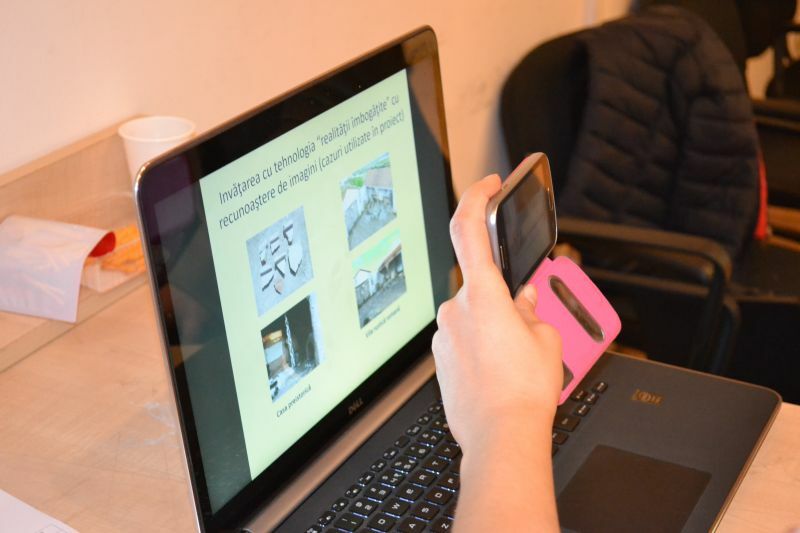 During the workshops, the students accessed the Augmented Reality documentation on various traditional technologies and afterwards offered their feedback on the digital lessons presented. 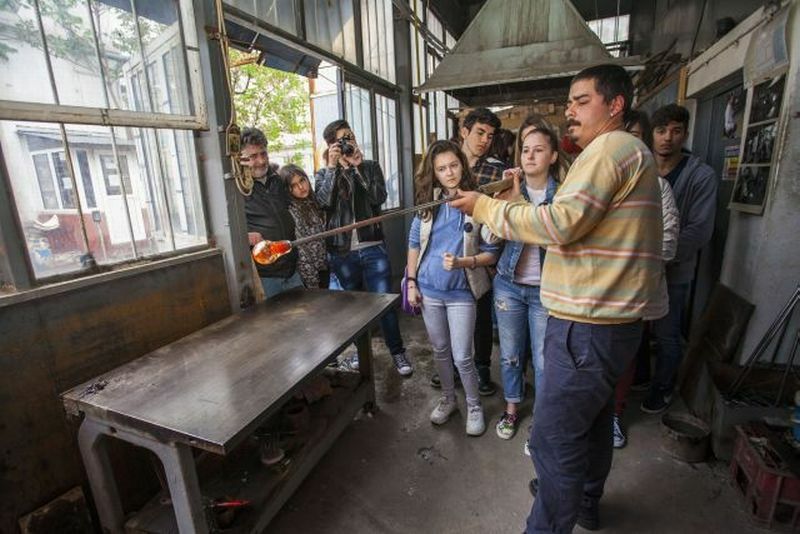 In April 2013 Assistant Professor Ioana Stelea, doctoral student, and collaborator in the research project with Professor Dan Popovici and Dragoş Gheorghiu, organized a workshop with a group of students from three educational institutions (Art High School “Victor Giuleanu”, Technological High School “C.P.T. 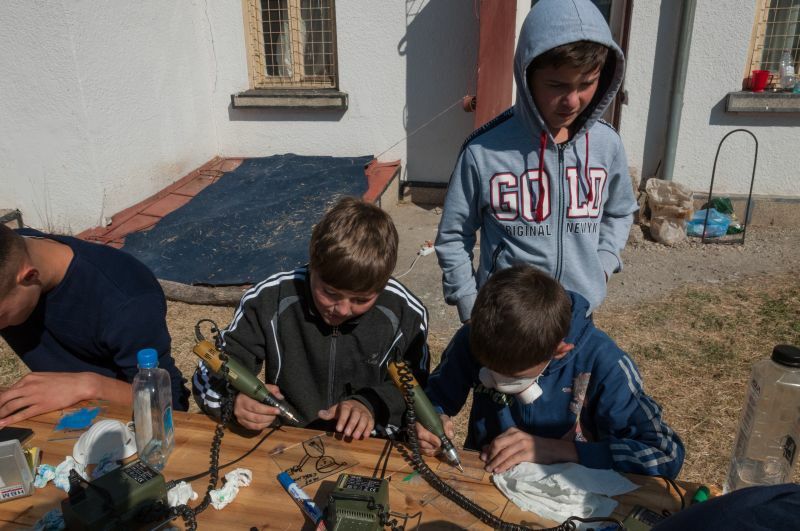 Plesoianu”, and the non formal learning institution “Children’s Palace”). 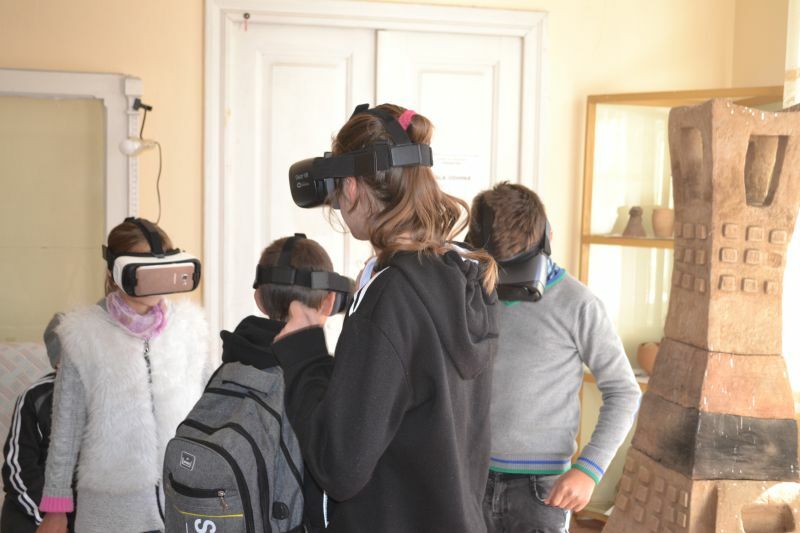 The workshop involved the introduction of the students in the objectives of the project, the detailed presentation of the main platforms and networks developed throughout the project and also the partnership with the students in order to develop the virtual community “The Maps of Time”. 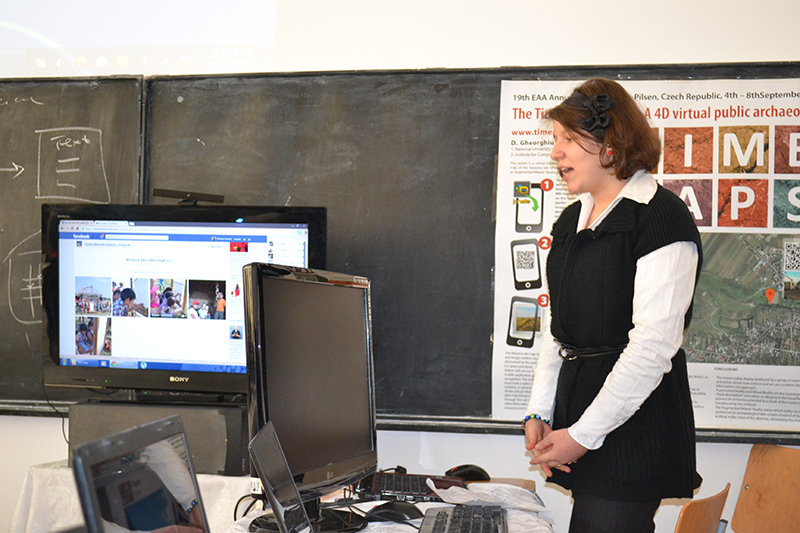 The students had accessed the Facebook page of the project where they watched the various activities and technological movies. 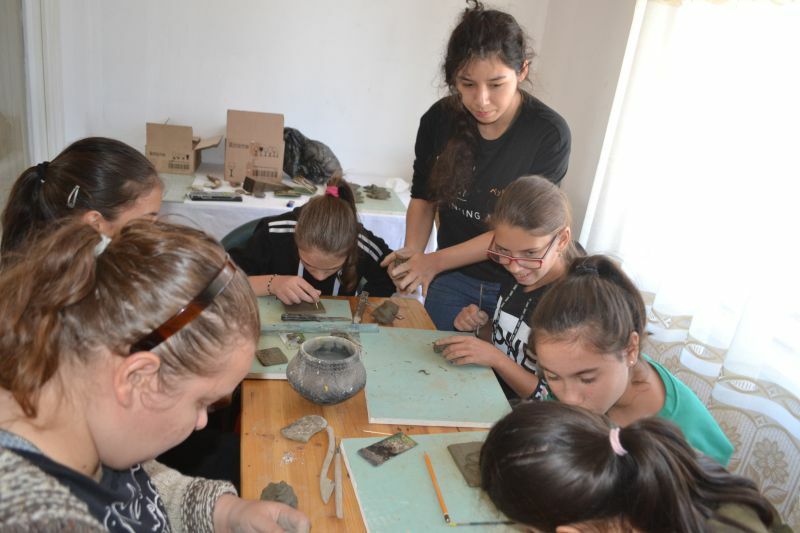 The workshop, which took place at the “Children’s Palace” from Râmnicu Vâlcea, included the presentation of the main techniques of glass and stone engraving and the actual exercise of these procedures. 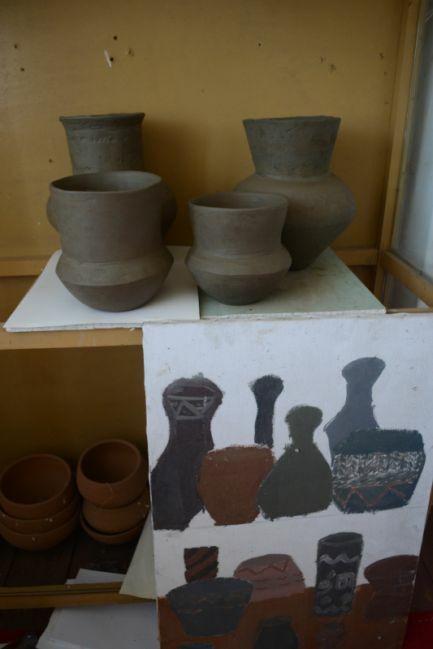 Also, a course package from the National University of Arts, Department of Ceramic-Glass-Metal was offered to the students via Skype. 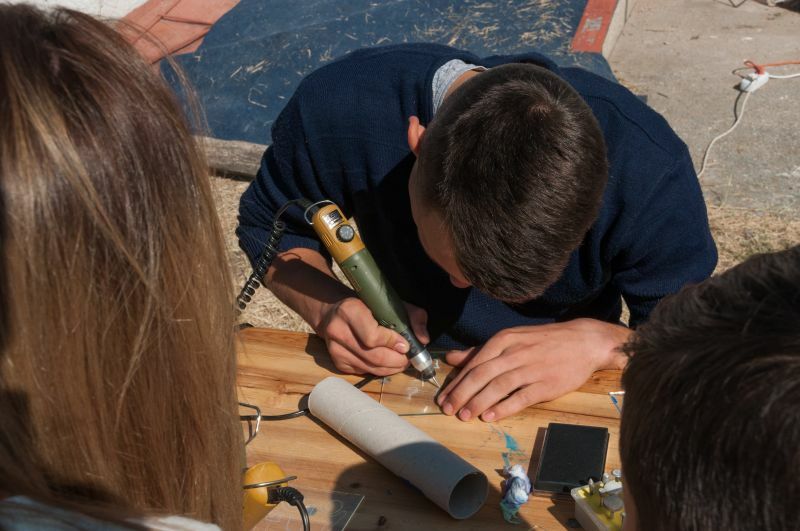 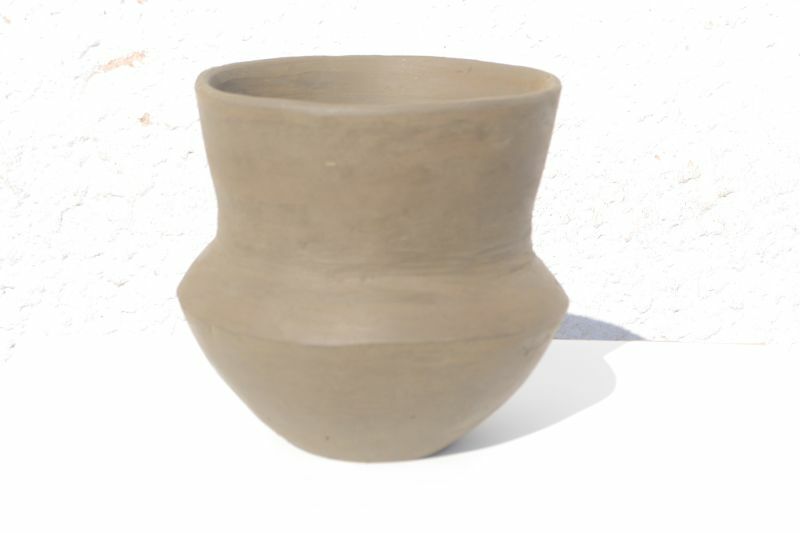 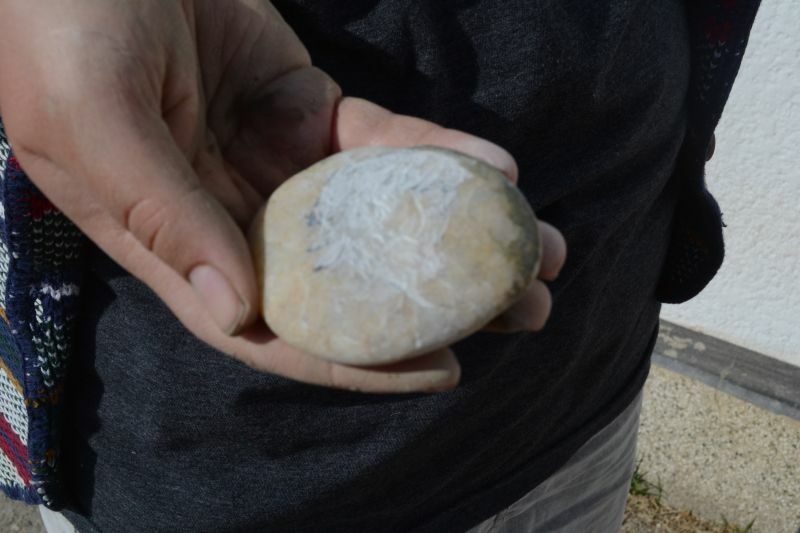 The students participating at this workshop had the opportunity to discover a series of traditional techniques of glass and stone engraving, through the videos presented on the Facebook and Youtube pages of the project, as well as the possibilities of revaluation of these technologies in the current artistic context. 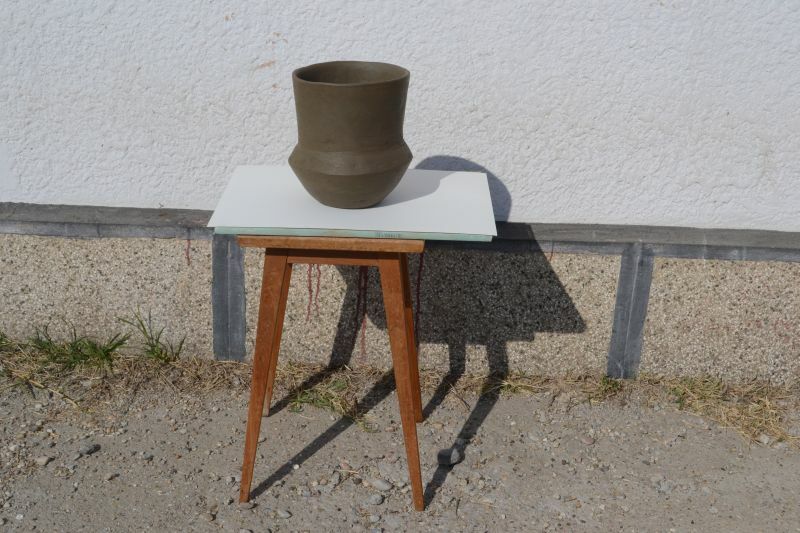 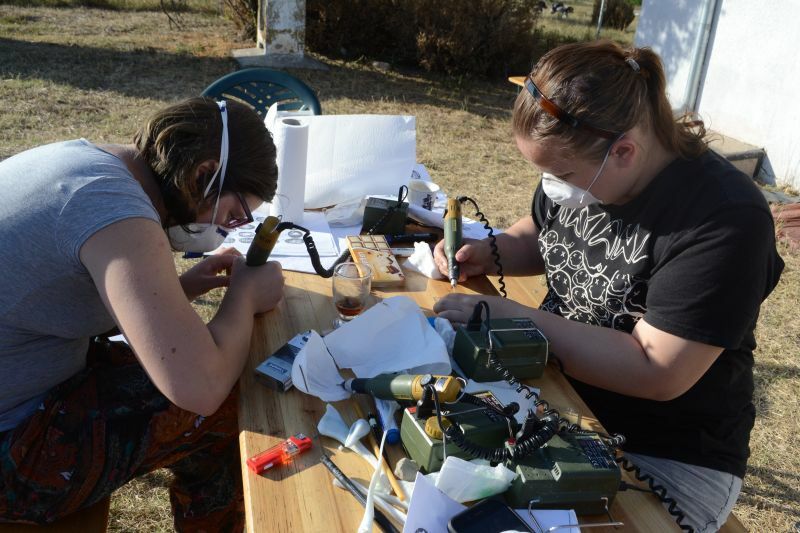 The first session of the experiments carried out in Vădastra was held in July 2012. 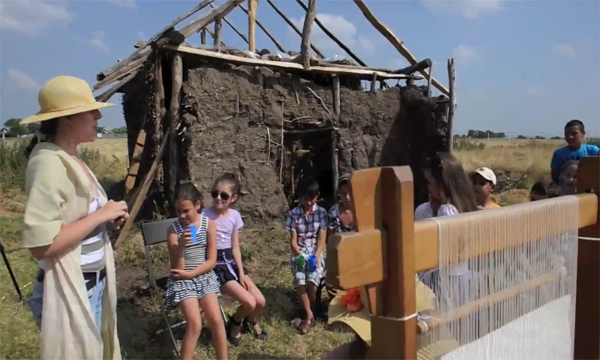 Its main goal was to present the prehistoric and Roman technologies of weaving to the village children. 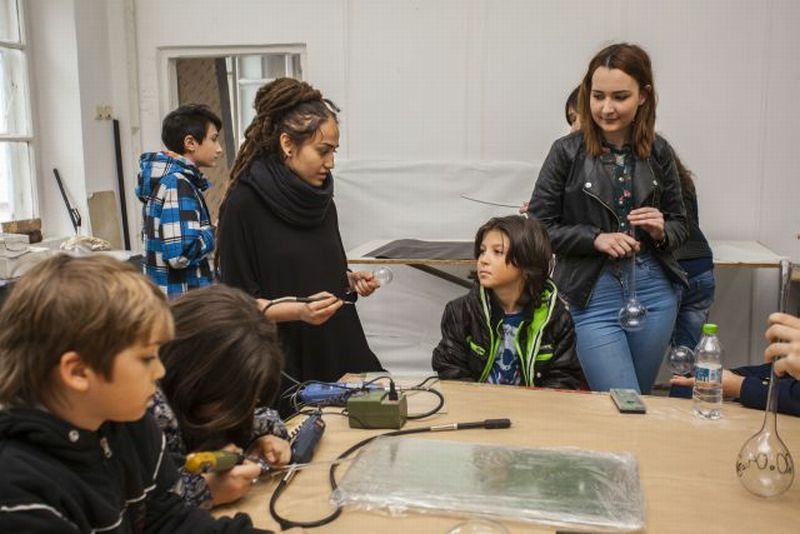 Assistant Professor Alexandra Rusu established a programme of learning by doing textiles with the Director of the Vădastra School, Laura Voicu, and designed a vertical loom made by Ion Dimcea from the NUA Design Department. 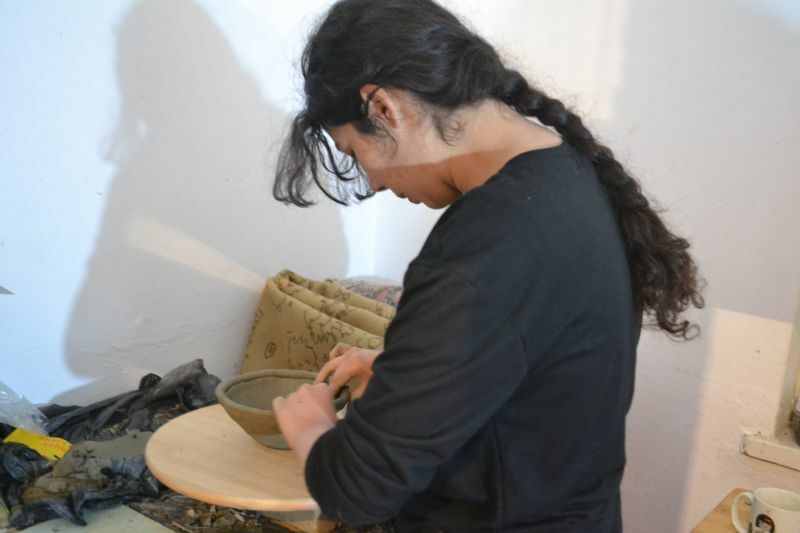 A series of operations such as wool dieing with local plants, or the preparation of the loom set up were carried out by weaver Elena Haut. 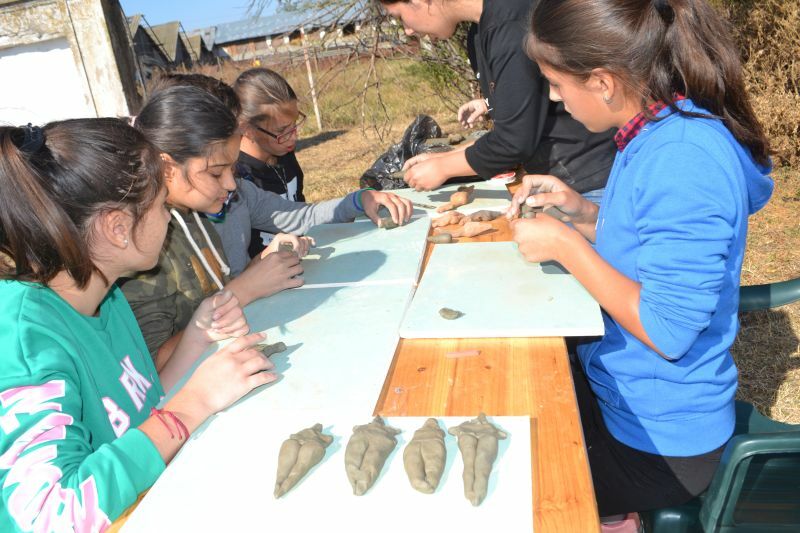 The workshop consisted of technical demonstration of weaving and individual work with children, for identifying and selecting skilled children for future lessons. 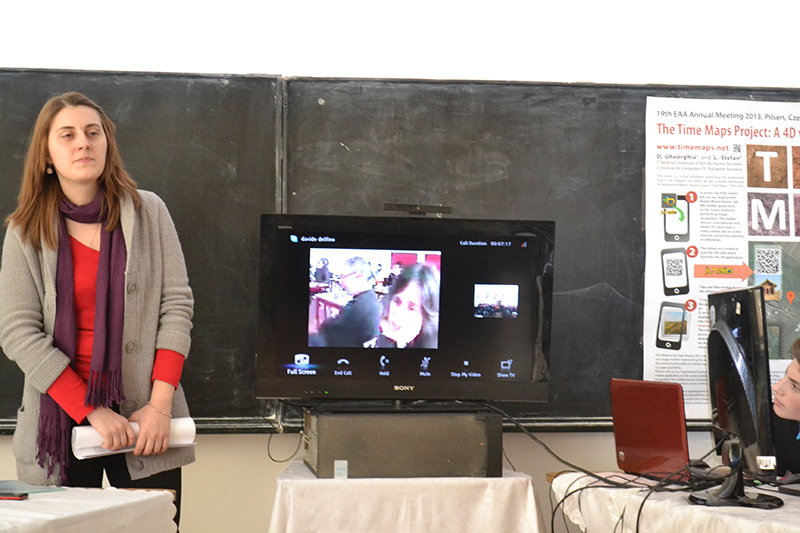 The communication with the group of selected children was conducted through video-conferences and social media networks. 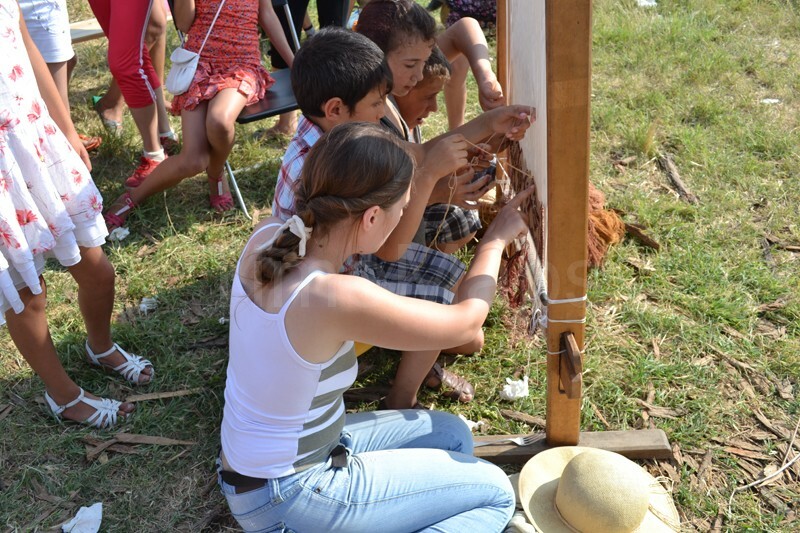 A second workshop on prehistoric and Roman weaving technologies was organized by Assistant Professor Alexandra Rusu and weaving specialist Elena Haut in August 2012 with a group of selected children from the Vădastra School, coordinated by teacher Ramona Ruscu. 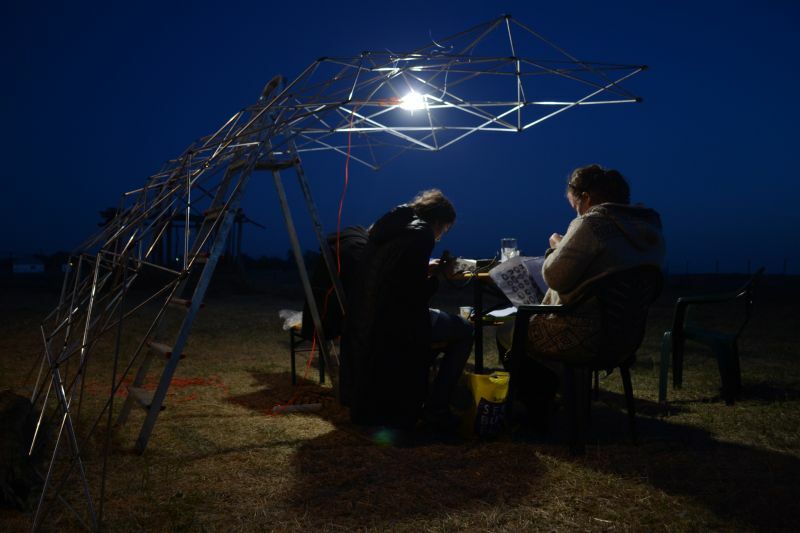 Apart from the theoretical information, the children worked with two types of prehistoric horizontal looms and a vertical loom with two crossbeams. 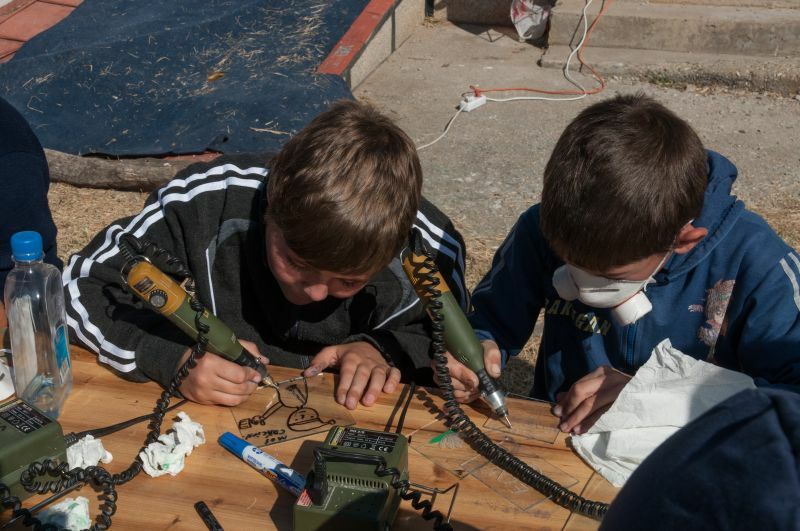 The difficulties of working with the vertical loom with two crossbeams were overcome by the continuous coordination of the weaving experts. 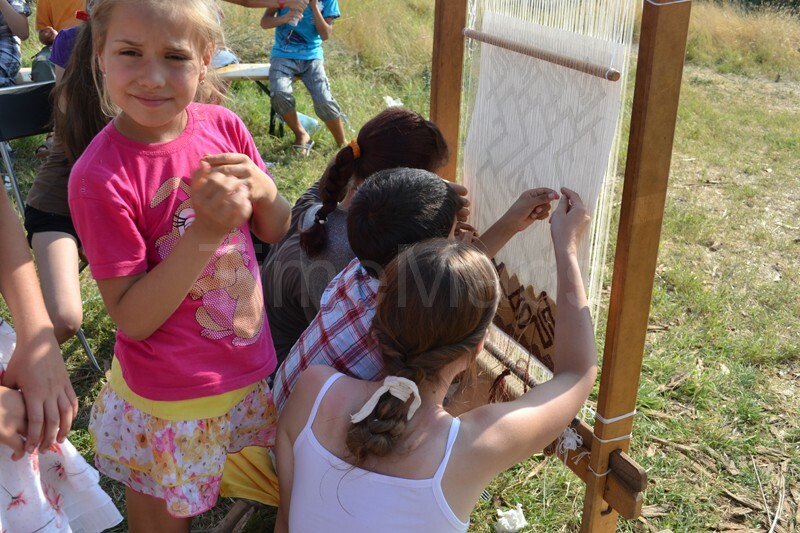 These lessons were later continued with e-learning sessions on the history of weaving and tapestry. 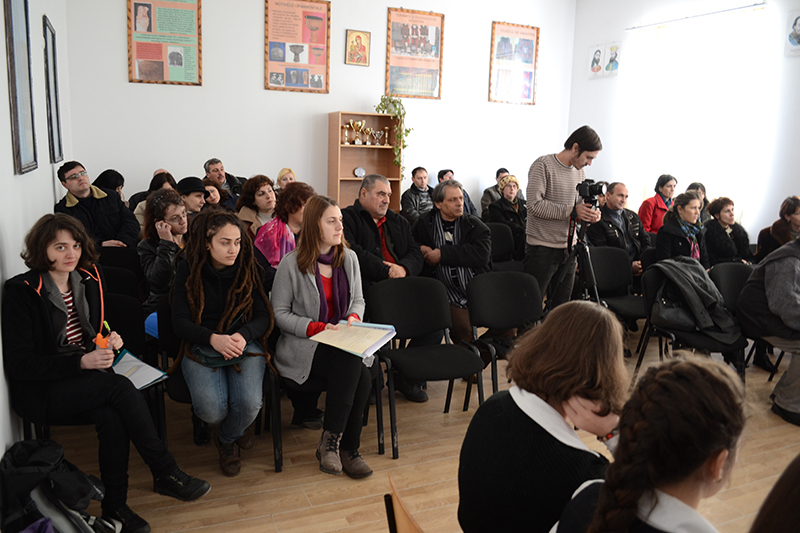 The photo-video sessions were conducted by Lecturer Adrian Serbanescu. 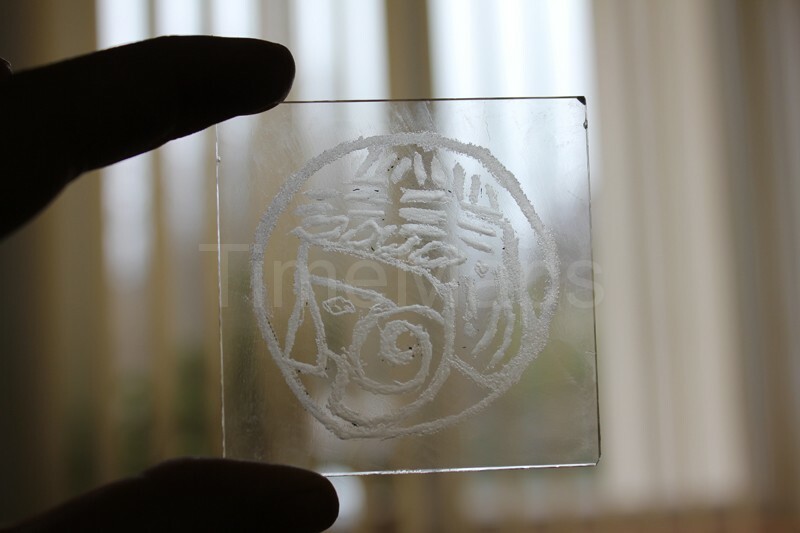 In August 2012 doctoral student Ioana Stelea and Lecturer Dan Popovici organized a workshop on Roman stone and glass engraving. 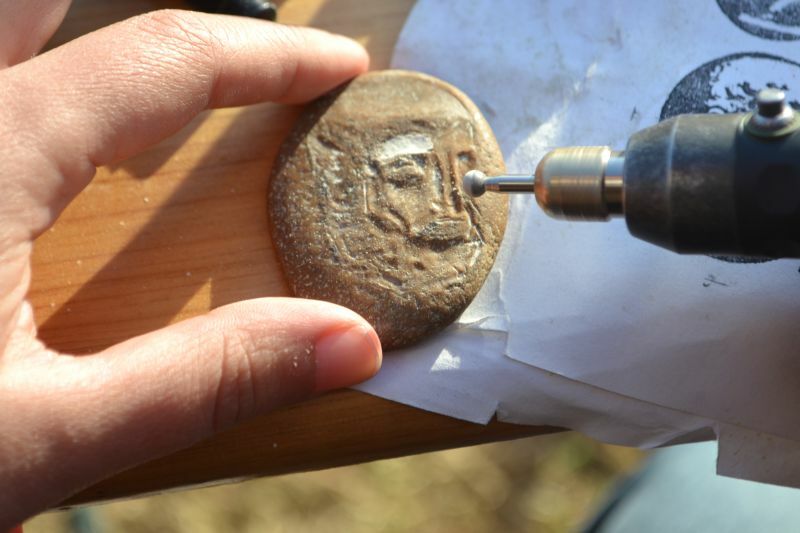 Demonstrations were carried out by doctoral student Ioana Stelea on a replica of a Roman engraving machine built by Ion Dimcea after Dan Popovici’s documentation. 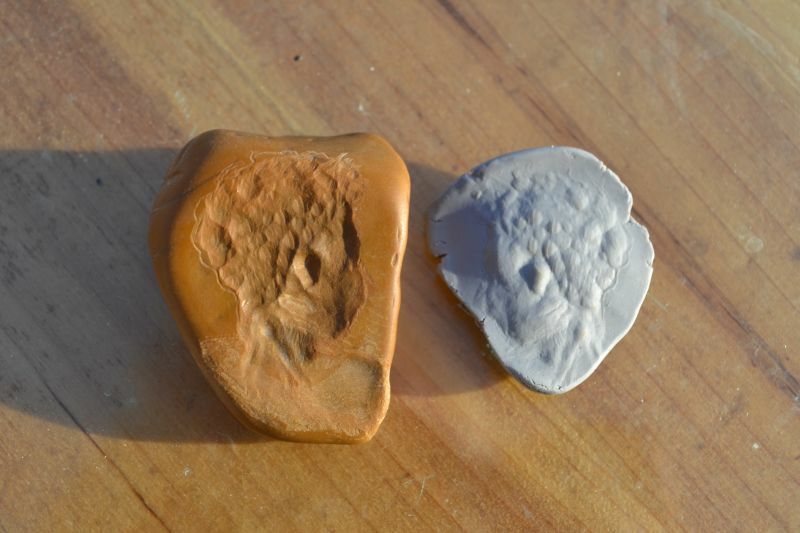 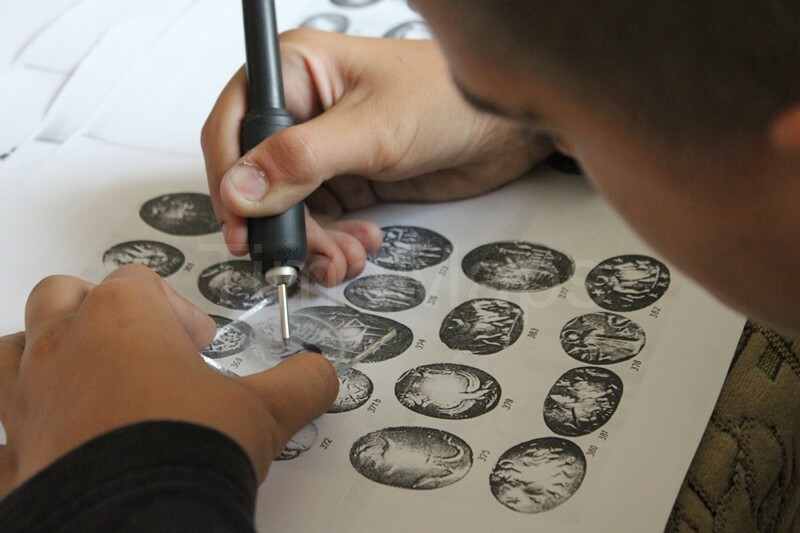 The children were familiarized with the main tools of the Roman engraving technology and produced images on stone and glass inspired from patterns on antic gems and cameo. 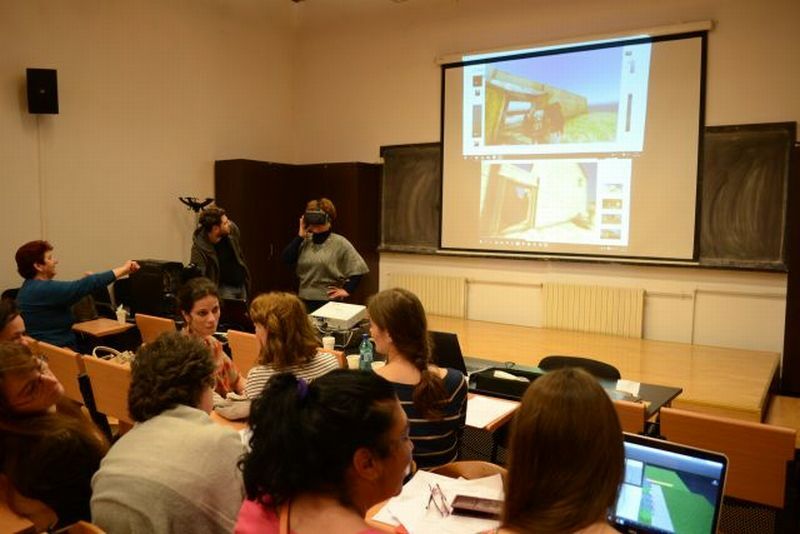 A workshop for learning the local history was organized in August 2012 by Professor Dragoş Gheorghiu using video-films and Virtual Reality architectural reconstructed contexts. 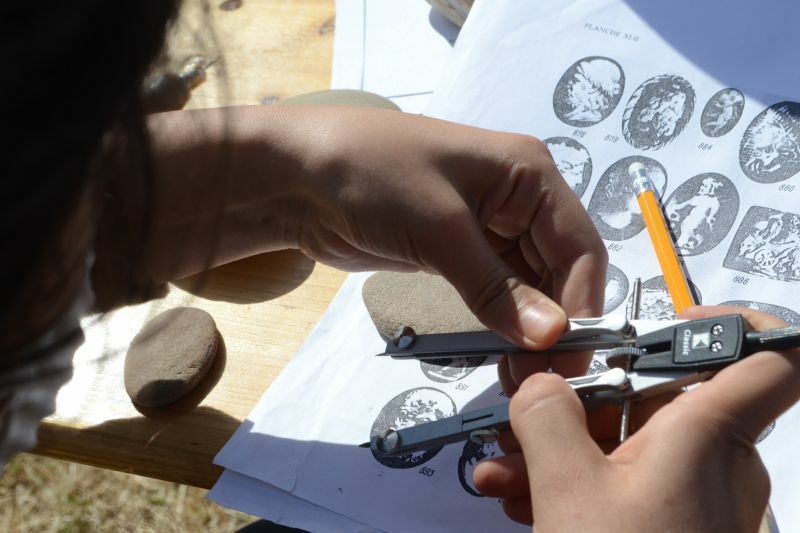 The workshop took place outdoors within the experimental Roman workshop, using a laptop and a tablet PC as teaching devices. 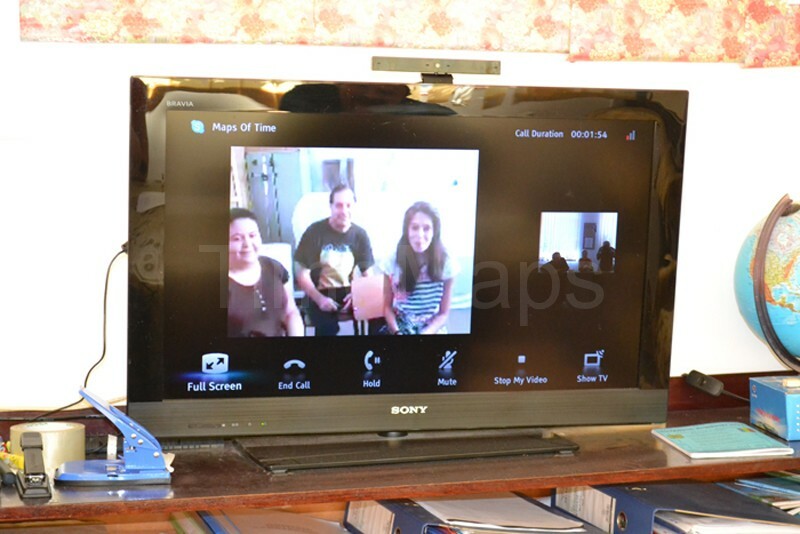 For implementing the on-line courses, the research project has endowed both the Fiber Art Department and the Vădastra School with Sony Bravia TV sets with Skype. 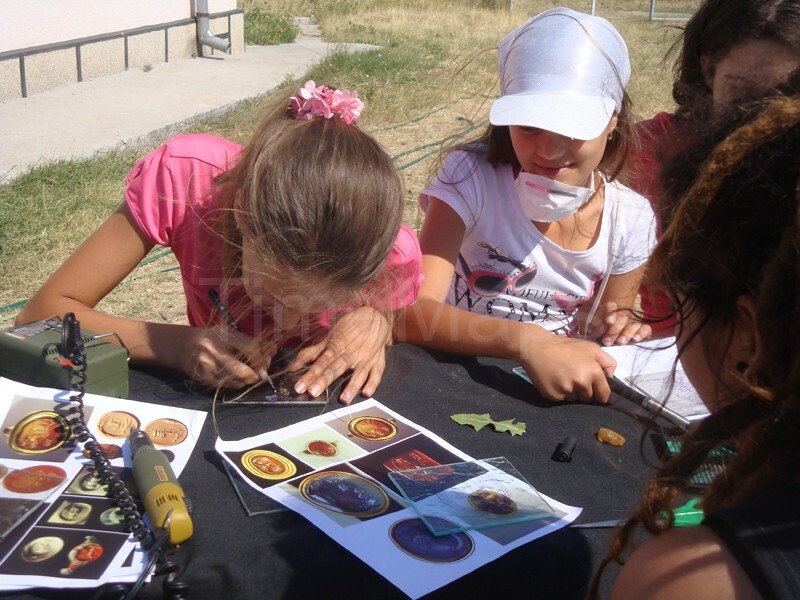 The first video-conference between the NUA and Vădastra School was held in August 2012 with the purpose of setting up a virtual class to allow children to meet artists and art stuents from the NUA. 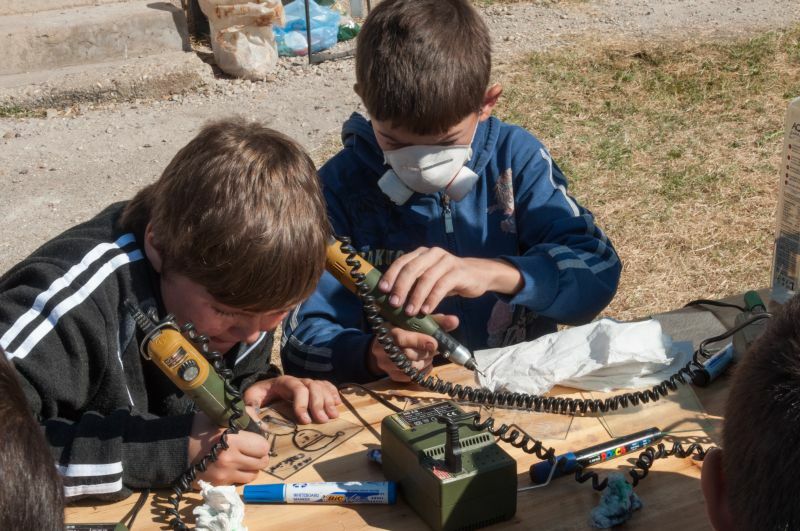 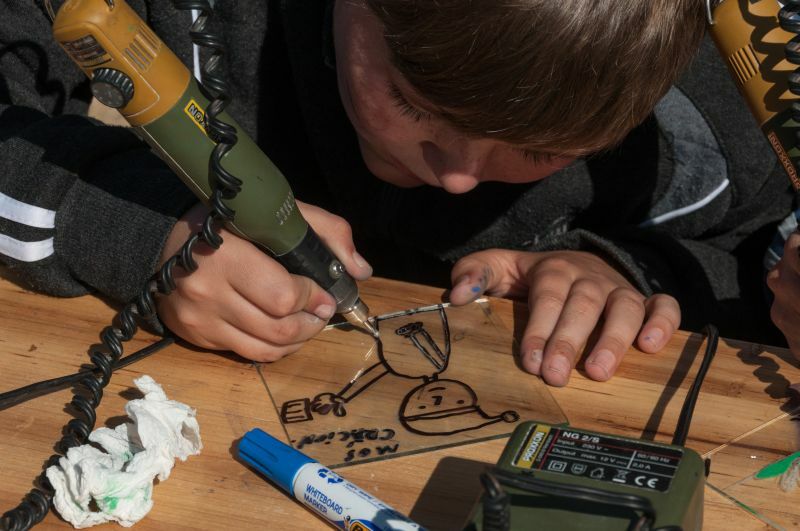 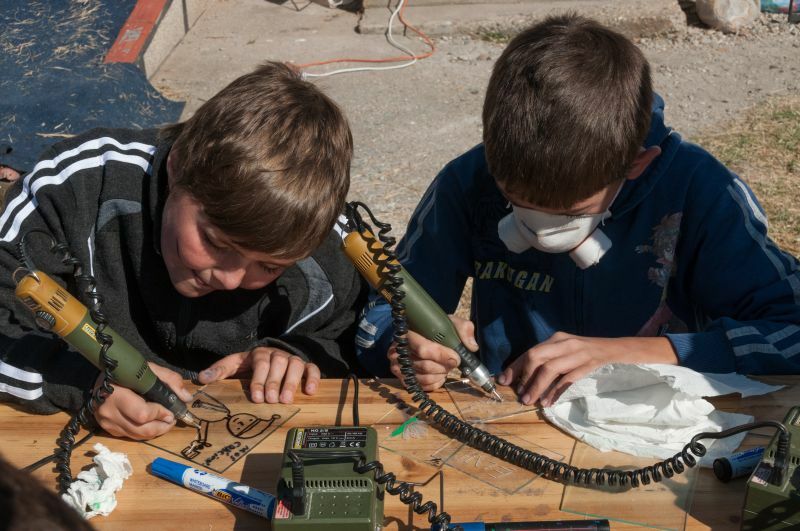 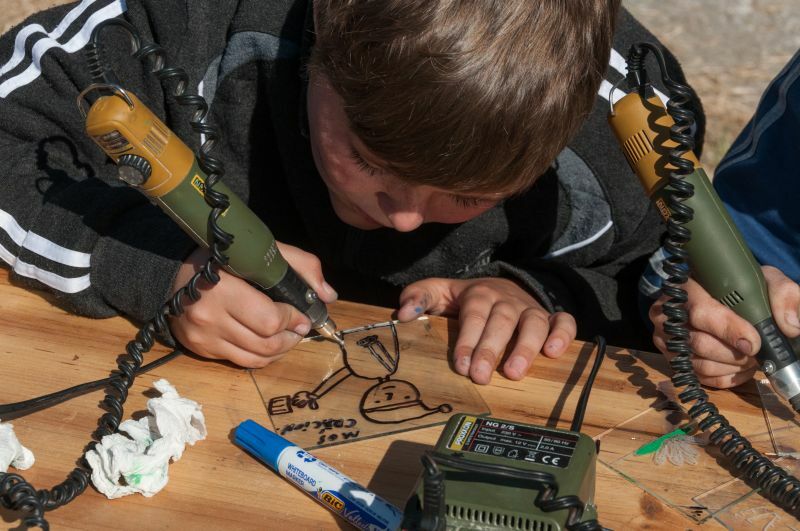 The project team presented the results of the first series of arts and science experiments carried out in Vădastra, as well as the first results of the work with children during the various workshops. 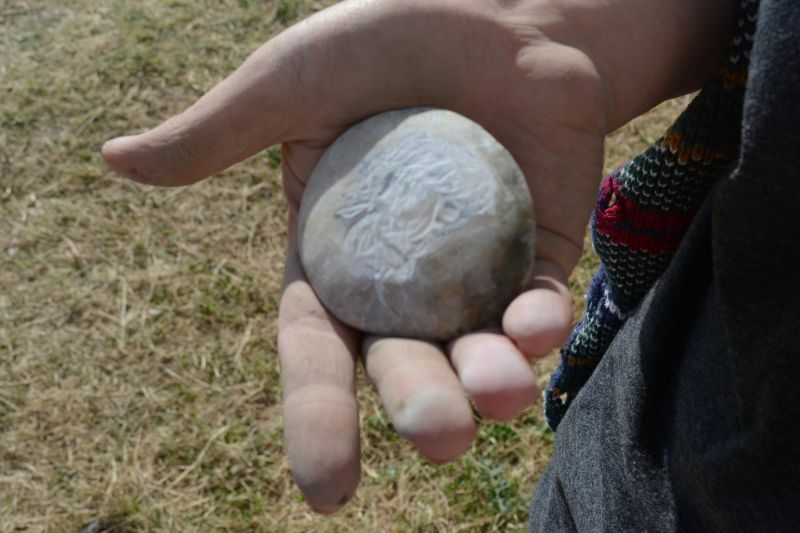 MA student Georgina Jones (Bournemouth University) described her activity as collaborator in the research project and offered solutions for improving of the educational strategy. 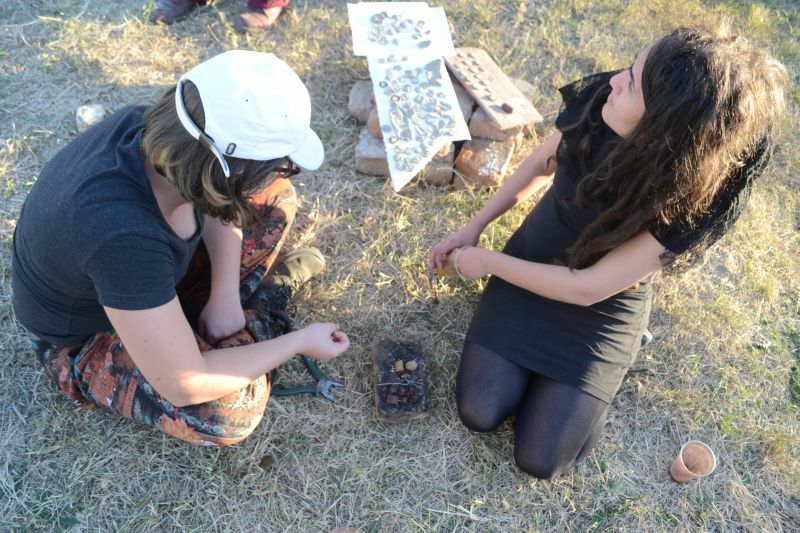 From the NUA Fiber Arts Department, Associate Professor Viorica Sladescu and Lecturer Claudia Musat presented the work of the department’s students. 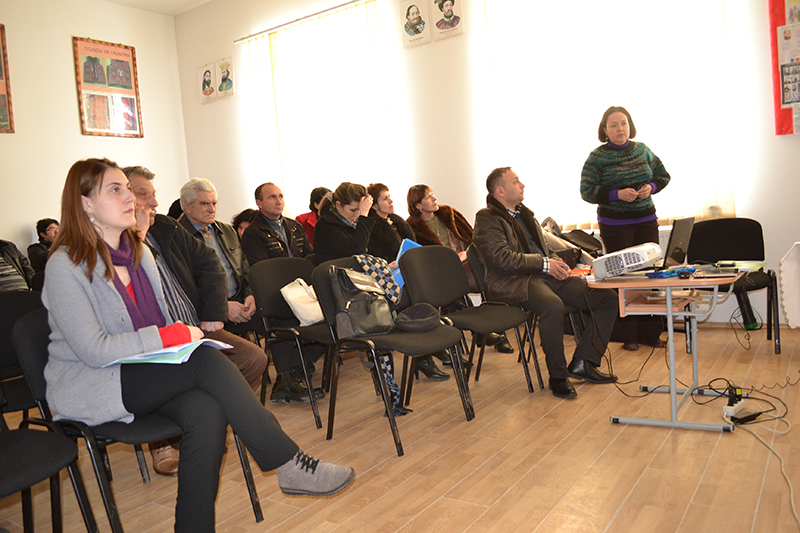 Dean Cosmin Paulescu offered support to the implementation of the project’s e-learning strategy of linking the Faculty of Decorative Arts to schools from less developed rural communities. 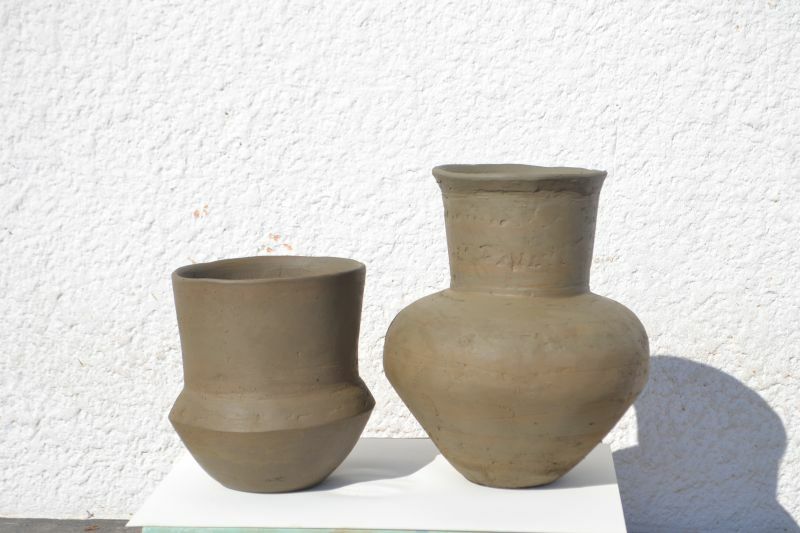 Starting in October 2012, the Fiber Art Department of UNA launched a series of on-line courses on the history and technologies of textiles. 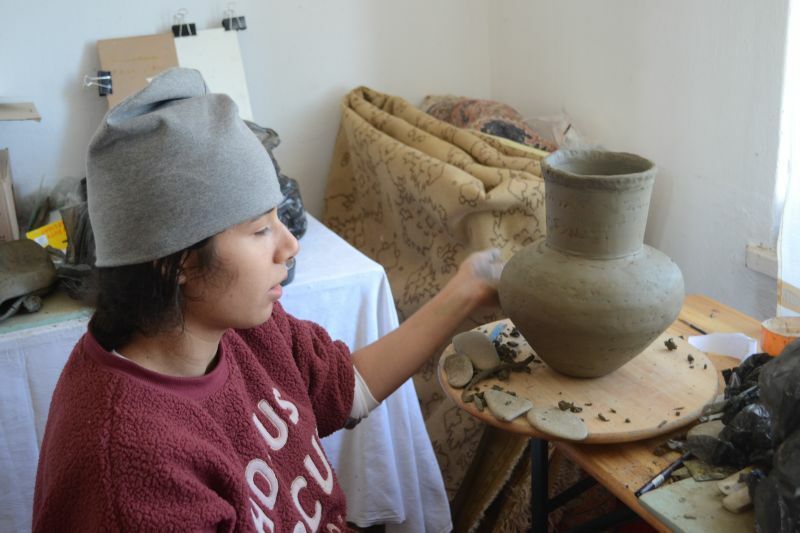 The first introductory course on the history of tapestry, delivered by Assistant professor Alexandra Rusu, continued the initiation in textile technology presented during the previous workshops. 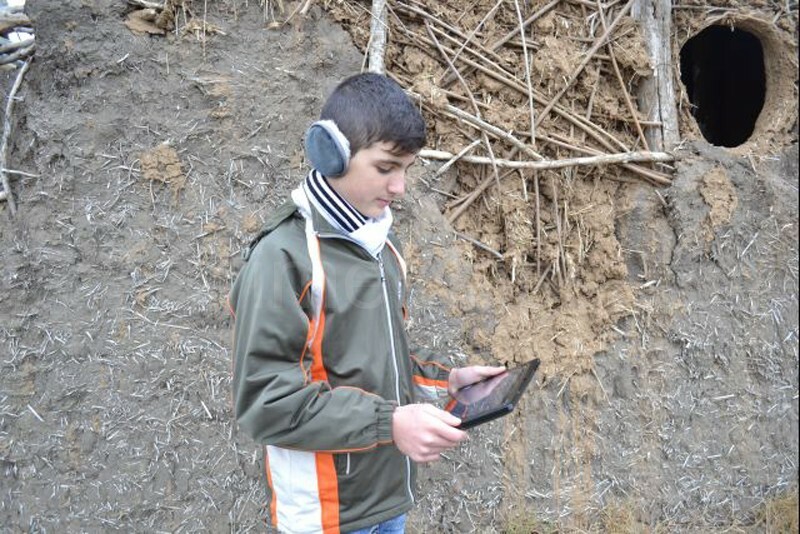 Two mobile-learning workshops for learning in context the local history were organized in August and November 2012 by Professor Dragoş Gheorghiu and IT Engineer Livia Ştefan using Augmented Reality, first as video-films inserted in Virtual Reality architectural reconstructed contexts, and later as applications on mobile phones and tablets with GPS. 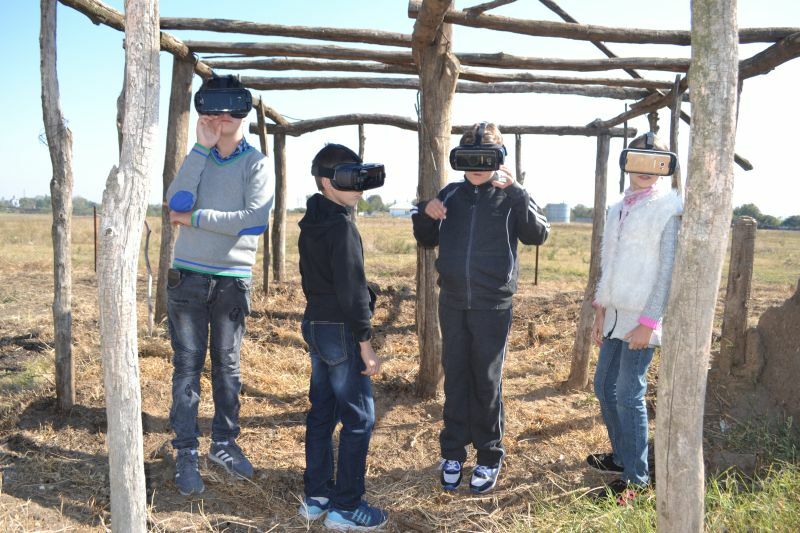 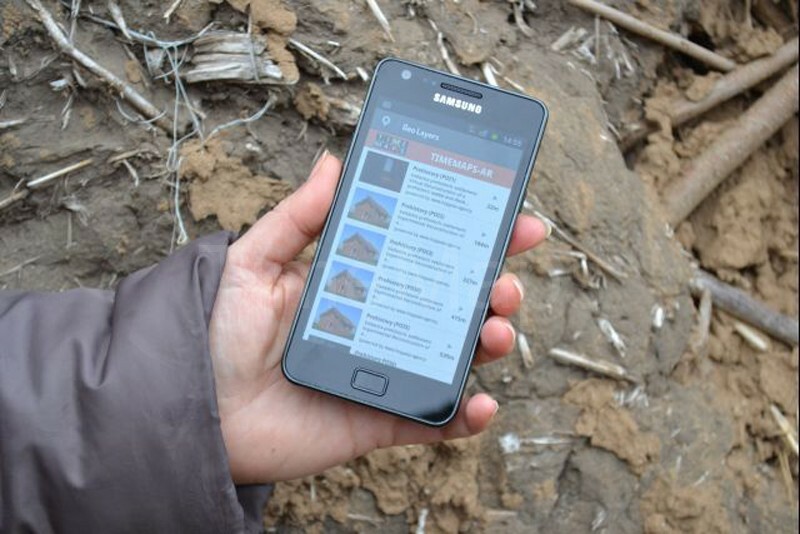 These lessons on the historical site consisted of the identification of historical points of interest followed by Augmented Reality information consisting of texts, virtual tours and 3D reconstructed objects overlapped on real images captured by the video-camera. 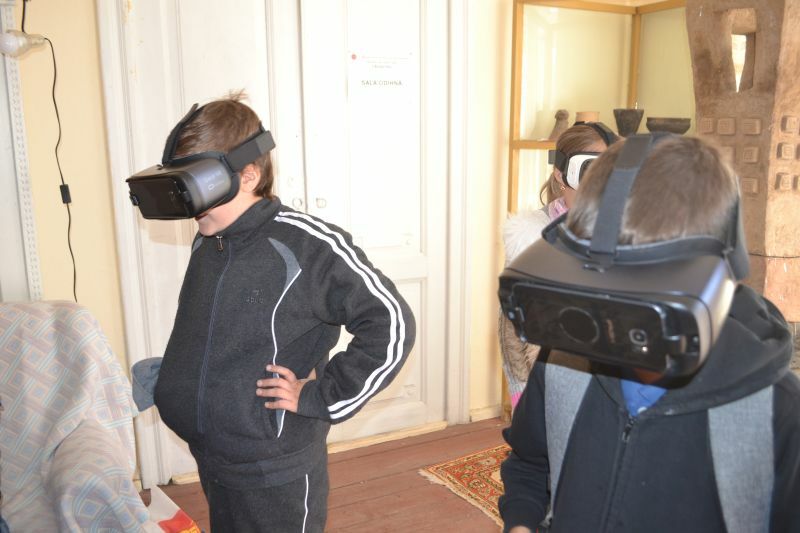 The AR applications were designed by IT Engineer Livia Ştefan who explained the use of the software application to the children. 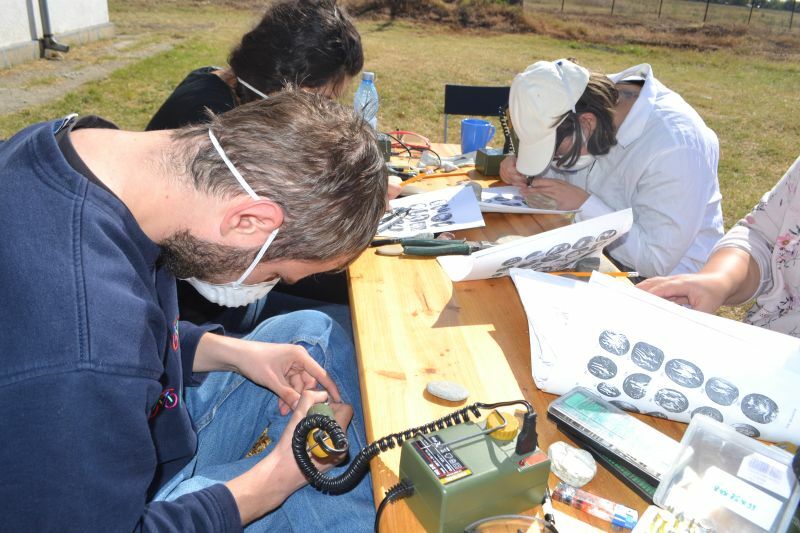 In November 2012, a workshop organized by Lecturer Dan Popovici and Doctoral student Ioana Stelea at the Vădastra School, continued the teaching of working with Roman techniques of engraving. 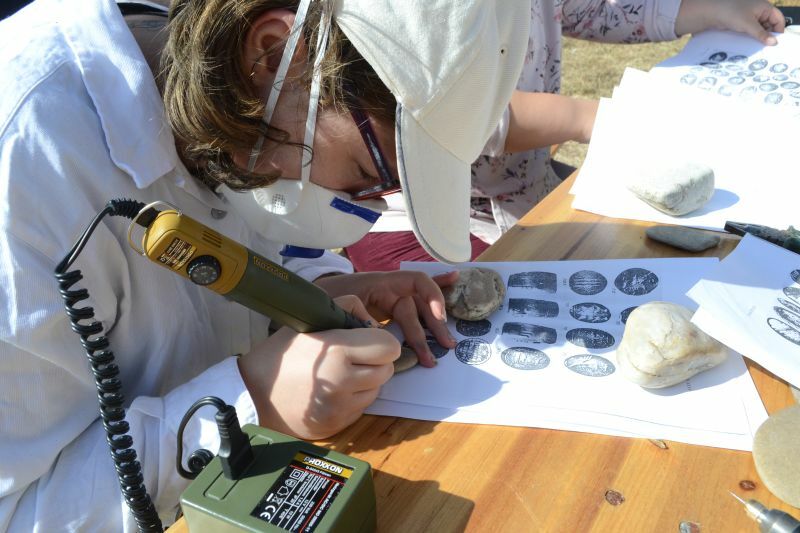 The children received more information on the gems and Roman ateliers from Dacia, and they reproduced on glass the gems’ images. 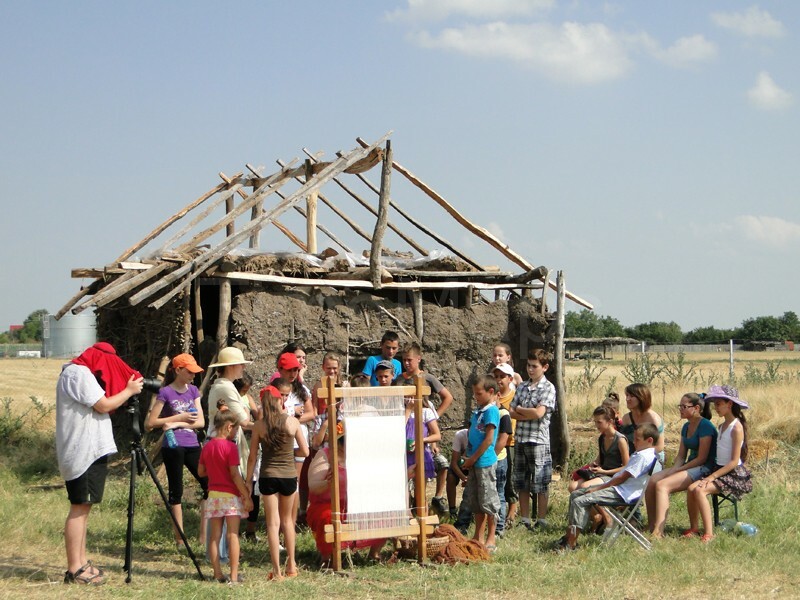 A first step of the project was to initiate a collaborative relationship with the School of Vădastra village (Olt County). 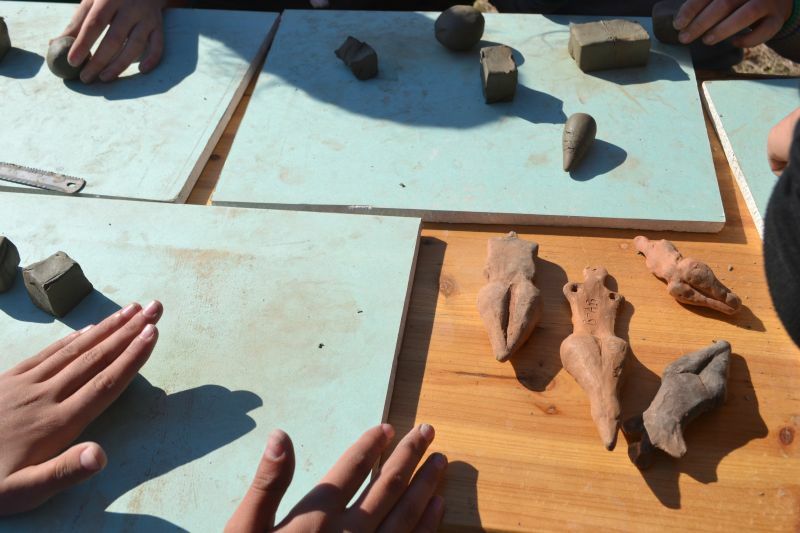 The students from the NUA MA Interior Design Department studied the local prehistoric and antique sites in order to prepare the future architectural reconstructions in context. 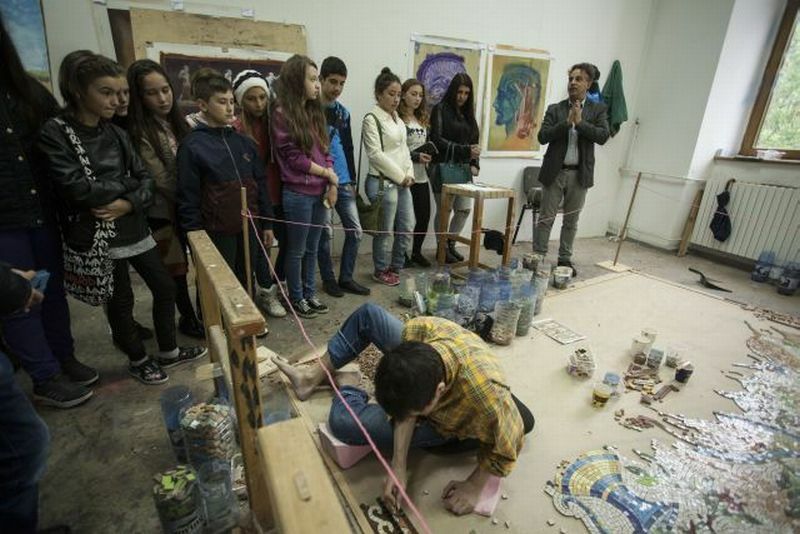 A workshop was organized on 26.11.2011 at the School of Vădastra by Dragoş Gheorghiu, Alin Moldoveanu, Livia Stefan, Alexandra Rusu, Ioana Stelea, Adrian Serbanescu, and Catalin Oancea, with the participation of the school teachers and children of various ages. 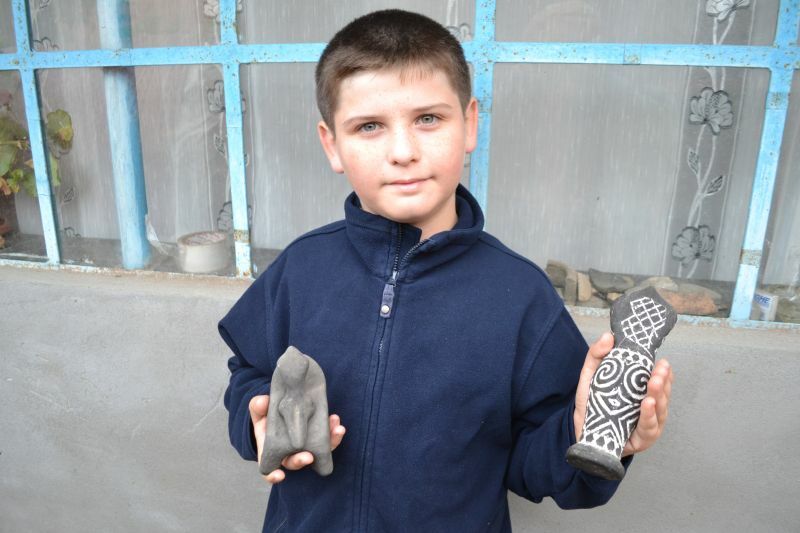 The topics discussed were the opportunity of economic development of the local community created by the learning of traditional crafts, and the possibility of implementing alternative education by using e-learning methods. 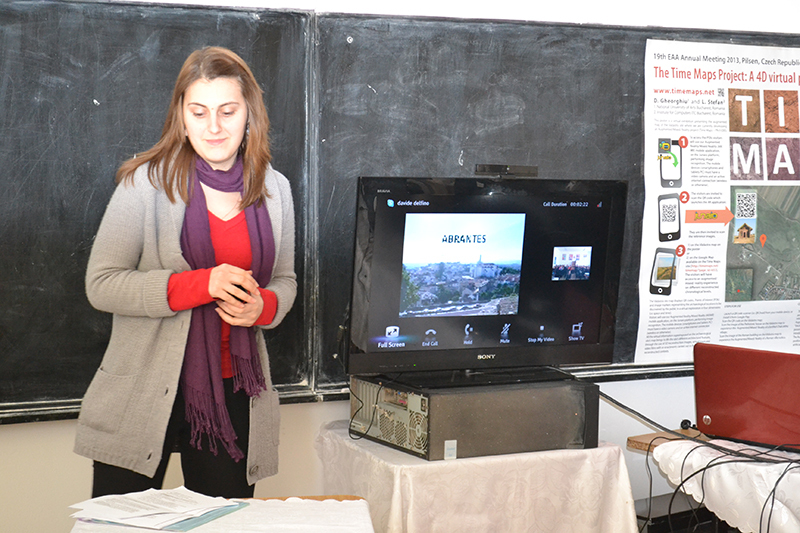 A technical presentation of the distance learning techniques was delivered by IT engineer Livia Stefan, stressing on the use of e-learning applications in the research project. 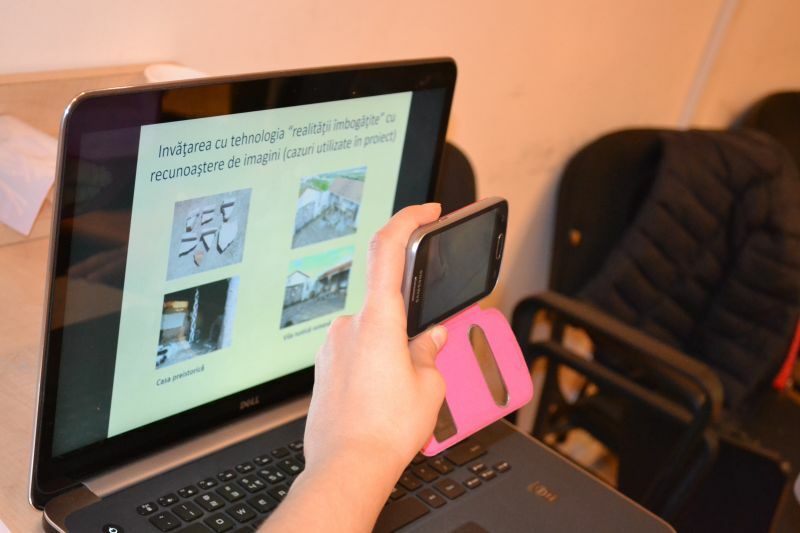 Other subjects discussed were Augmented Reality-AR/Mixed Reality-MR on mobile devices (smartphone, Tablet PC) and their implementation in the project’s educational process in Vădastra. 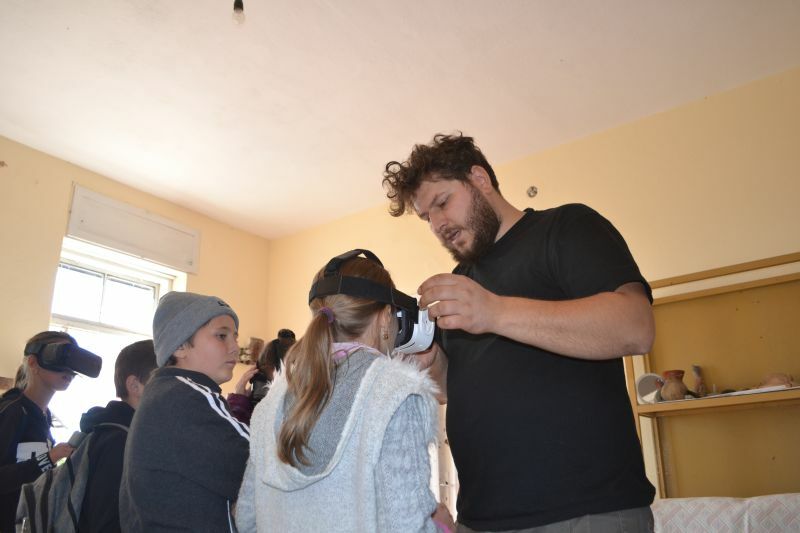 Associate Professor Alin Moldoveanu’s lecture detailed the concepts of Augmented Reality and Mixed Reality, as well as those of Virtual Reality. 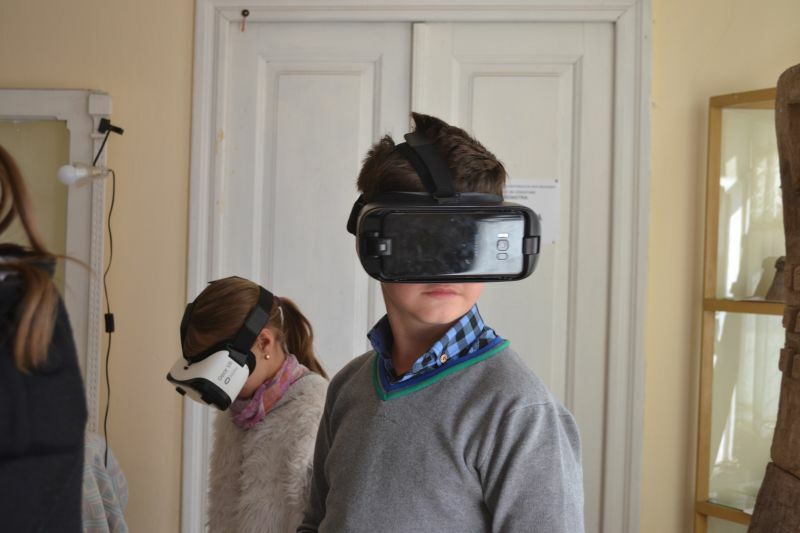 Lecturer Adrian Serbanescu presented the functioning of the future on-line lessons to be transmitted from the NUA to the Vădastra School using the Skype programme. 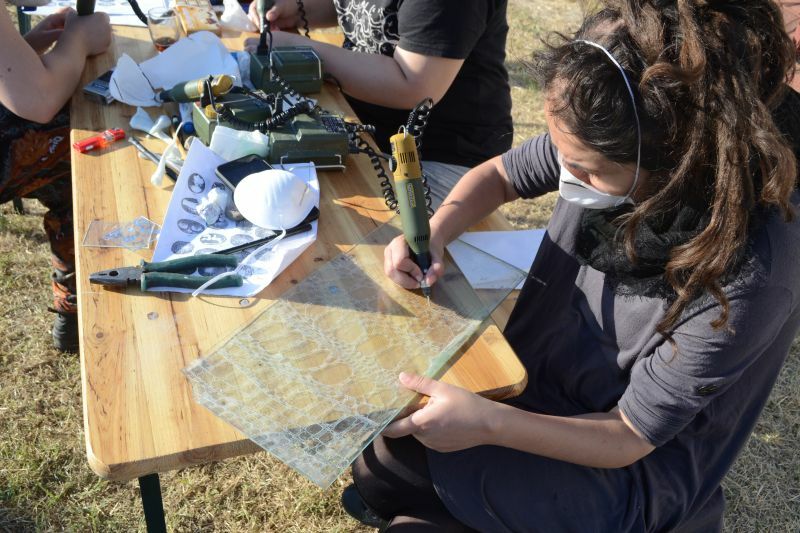 The immaterial heritage, i. e., the traditional technologies of glass engraving, weaving, and metal casting, represented the subject of the theoretical and applied presentations delivered by the MA student Ioana Stelea, Assistant Professor Alexandra Rusu and sculptor Catalin Oancea. 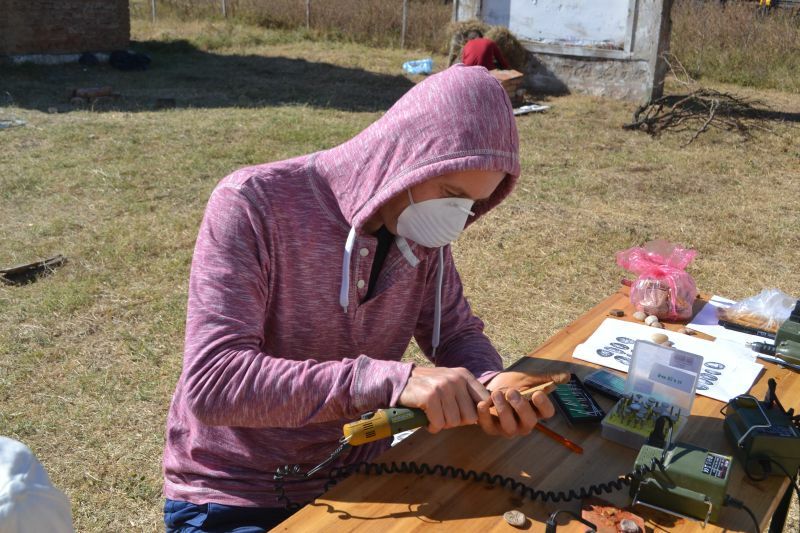 Another goal of this workshop was to identify within the community the craftspeople available for collaborating with the project team, the inventory of the existing functional installations, and the identification of traditional recipes of textile dyeing. 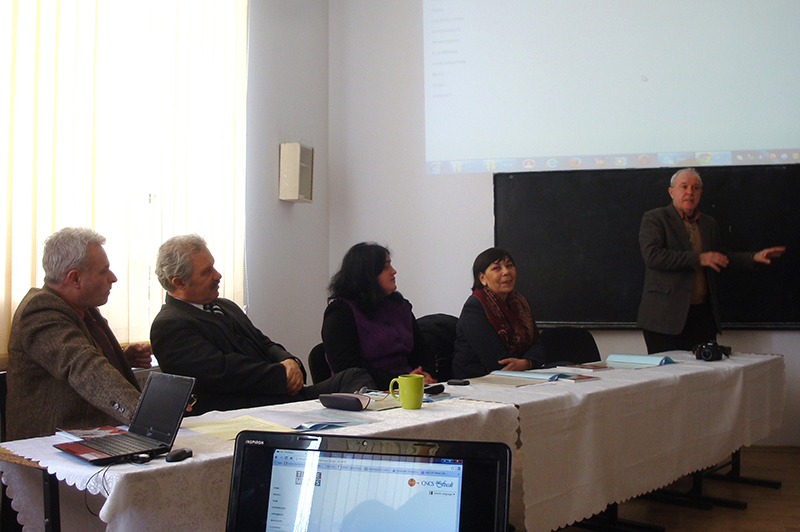 A second workshop, on the relationship between art and science, was organized in November 2011 at the NUA. 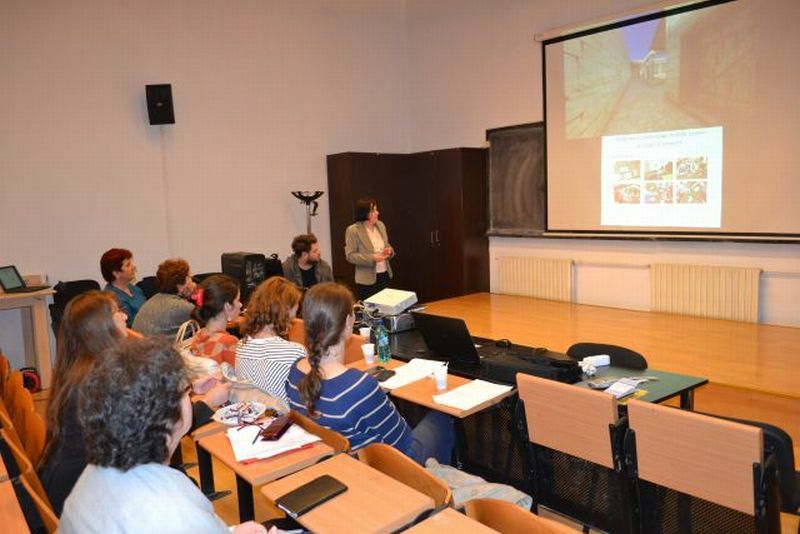 An introductory speech was delivered by Professor Ioan Rosca, followed by a presentation of the previous experiments of the research team made by Professor Dragoş Gheorghiu. 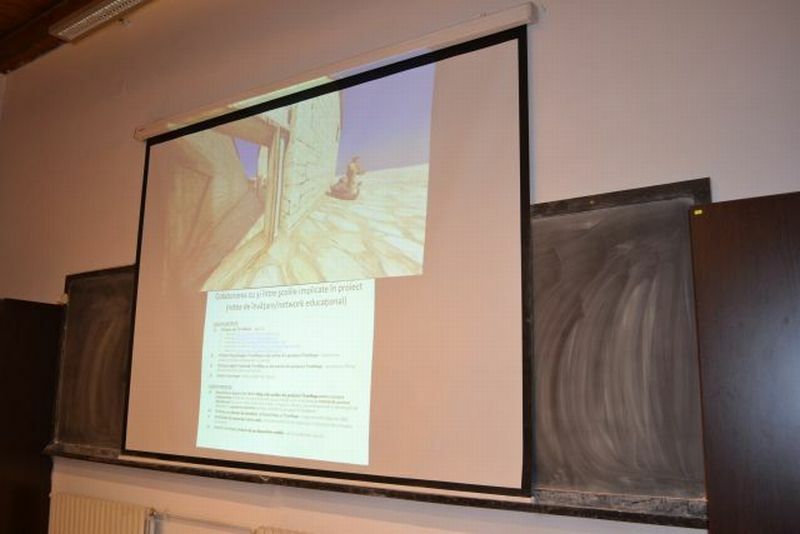 A discussion about the relation between reality and Virtuality was carried out by Associate Professor Alin Moldoveanu, who presented the 3D, VR and MMO technologies, as well as Single User and Multiple User strategies. 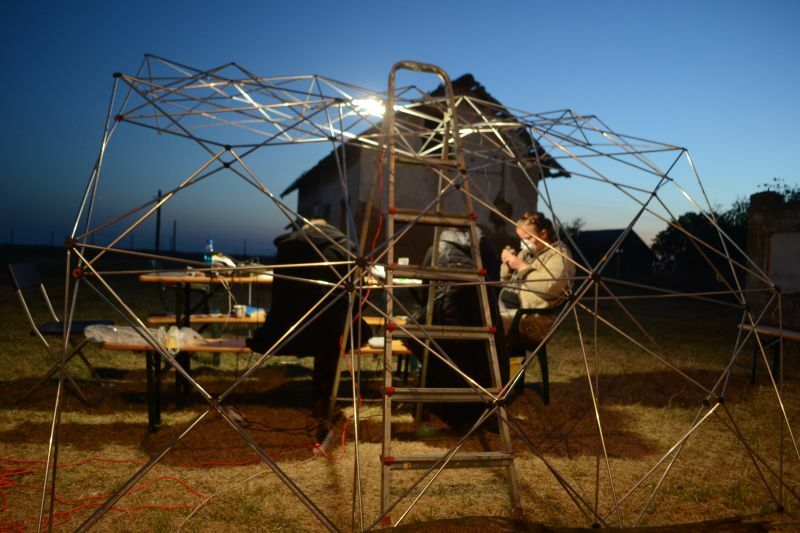 Professor Andreea Hasnas presented the relationship between theatre and digital technologies, while Lecturer Adrian Serbanescu described the digital communication network that would connect the NUA and the rural communities. 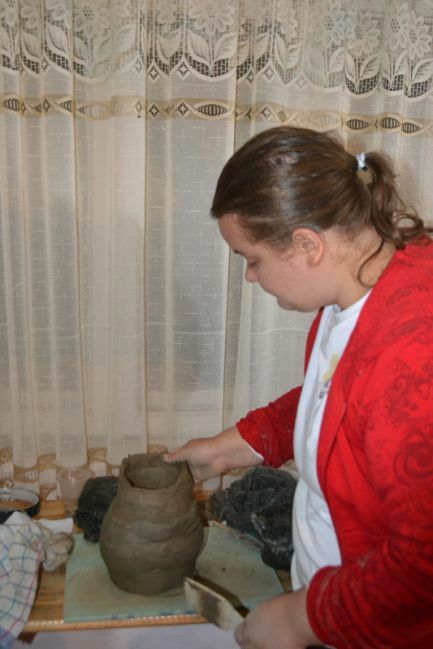 Lecturer Dan Popovici offered a series of examples of ancient technologies related to glass making and glass engraving to be carried out in Vădastra village and Assistant Professor Alexandra Rusu presented some traditional techniques of weaving to be carried out as experiments in Vădastra, as well as the teaching of these technologies using the e-learning method. 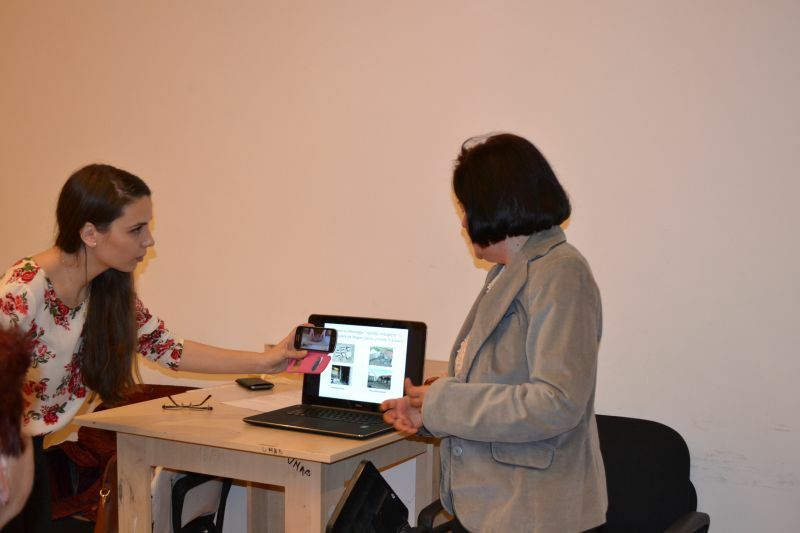 Lecturer Marina Theodorescu presented a design study for creating a visual identity for the project. 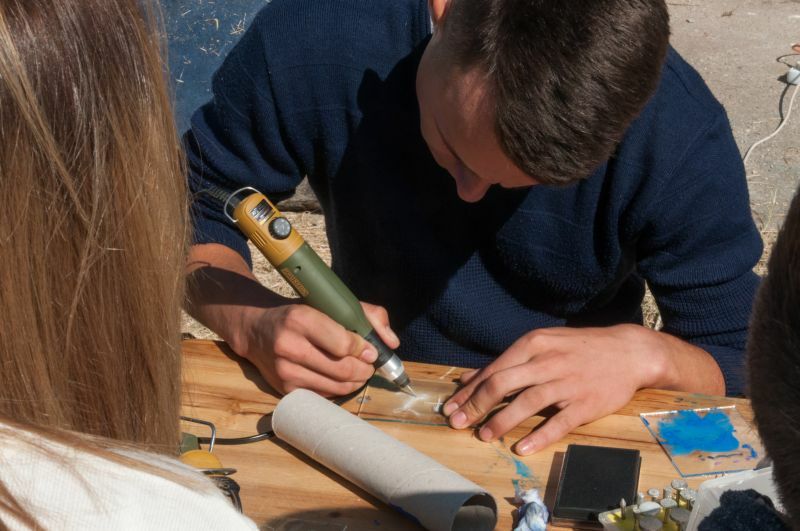 The workshop ended with a brainstorming session organized by Associate Professor Alin Moldoveanu designed to increase the students’ involvement in the project. 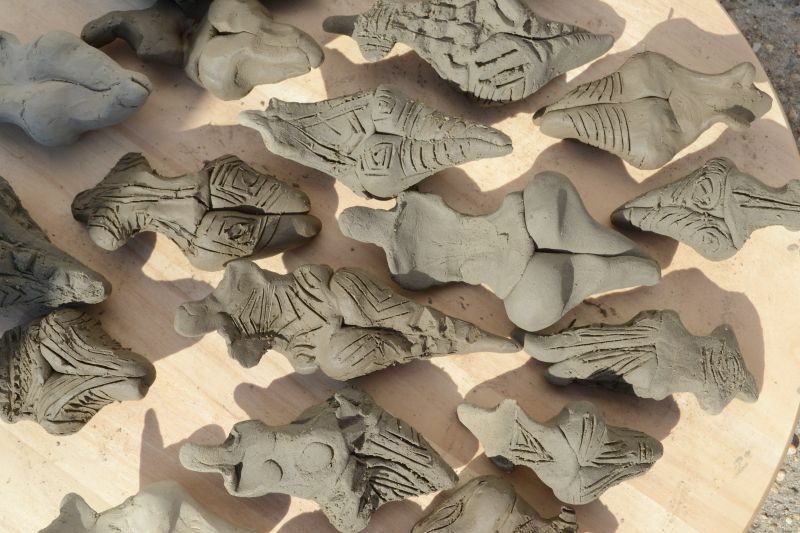 In July 2012, Associate Professor Alin Moldoveanu and Lecturer Victor Asavei from the Bucharest Polytechnic University organized a workshop on modelling and texture in 3D, where MA students Andra Jipa and Assistant Professor Alexandra Rusu were invited. 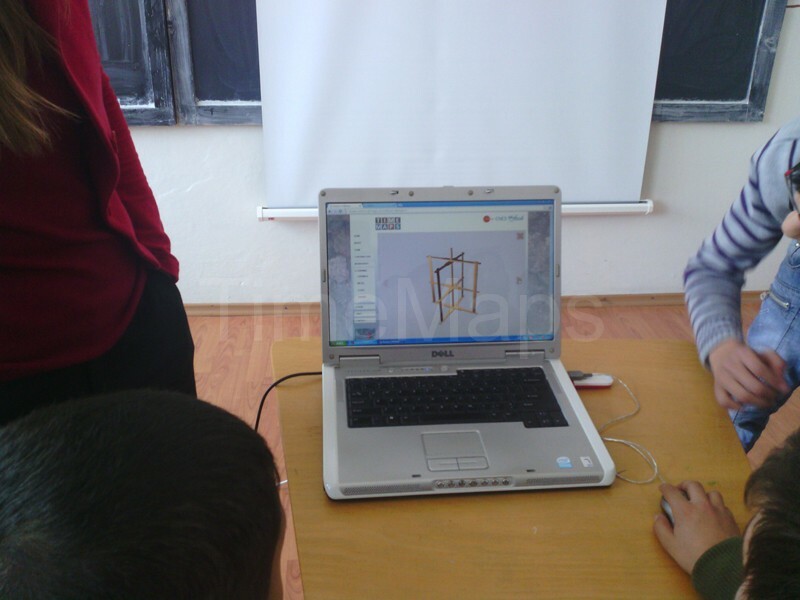 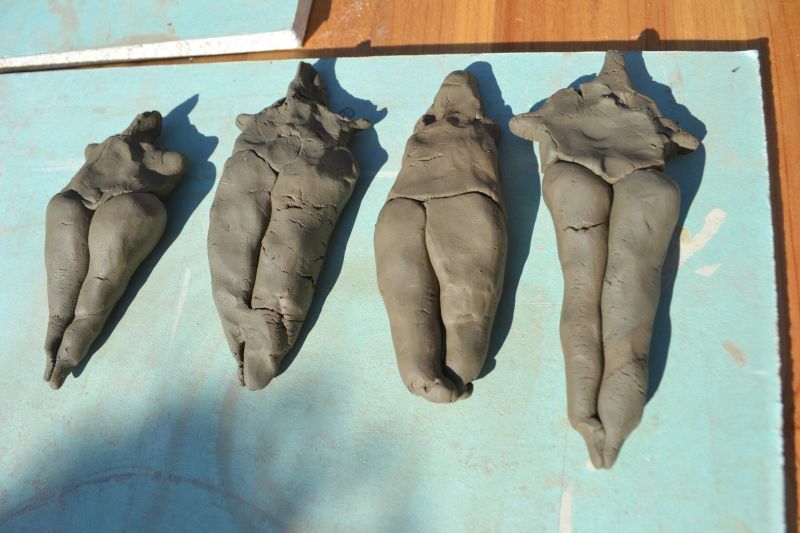 The pupose of the workshop was the developing of the 3D modelling abilities. 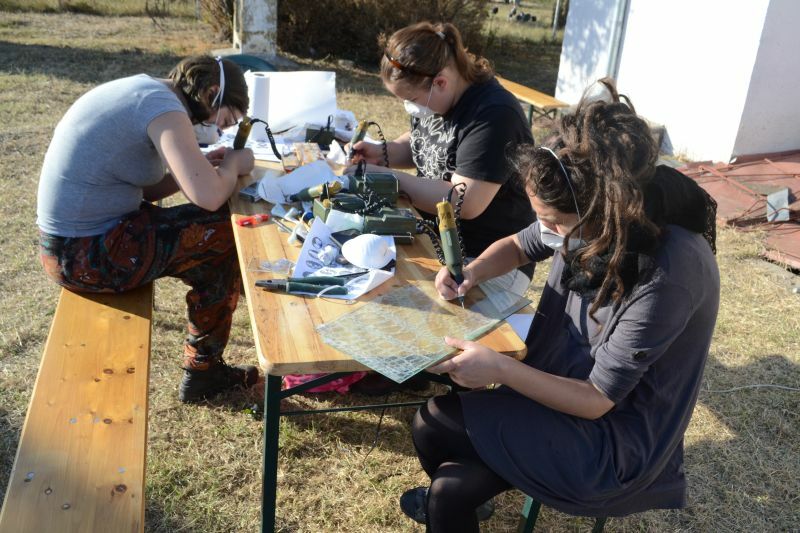 With the purpose of improving the quality of teaching, Engineer Livia Stefan and Assistant Professor Alexandra Rusu, as well as the professors from the Fiber Arts Department who were involved in the long distance activities with the Vădastra School, enrolled in a course on e-learning organized at the NUA by SIVECO Bucharest. 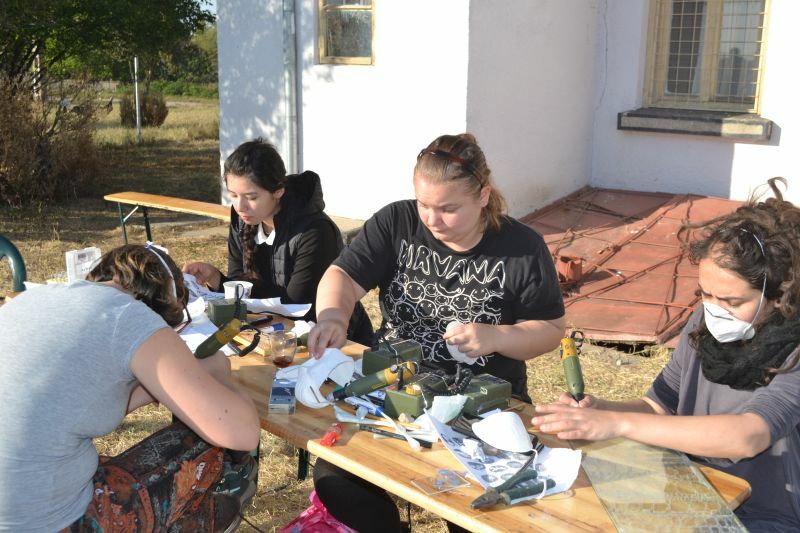 They received the certificate of competency in May 2013. 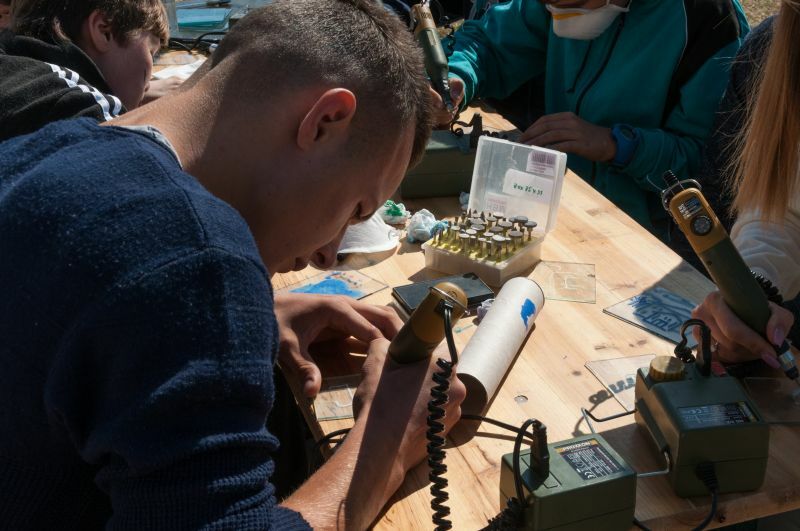 At this event Android programmers were invited to share their knowledge and ideas in order to create personal and business oportunities. 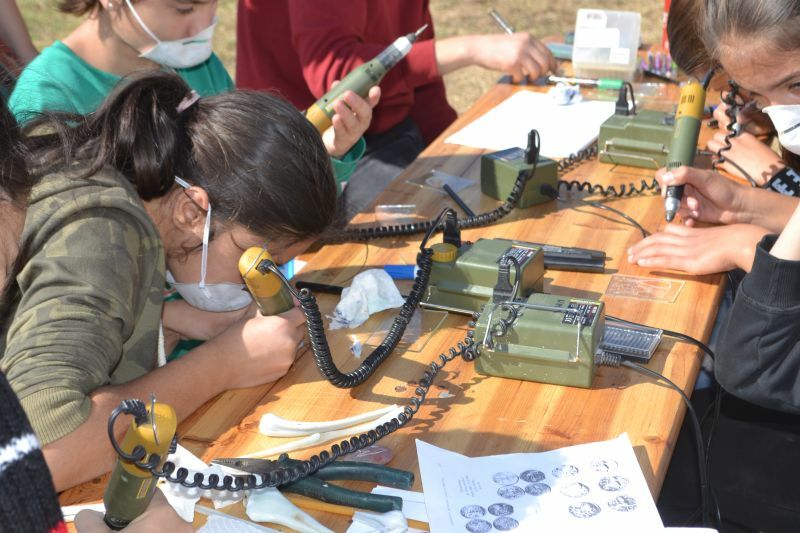 Engineer Livia Ştefan participated for two days at conference’s paper presentation, exhibition and round-tables.